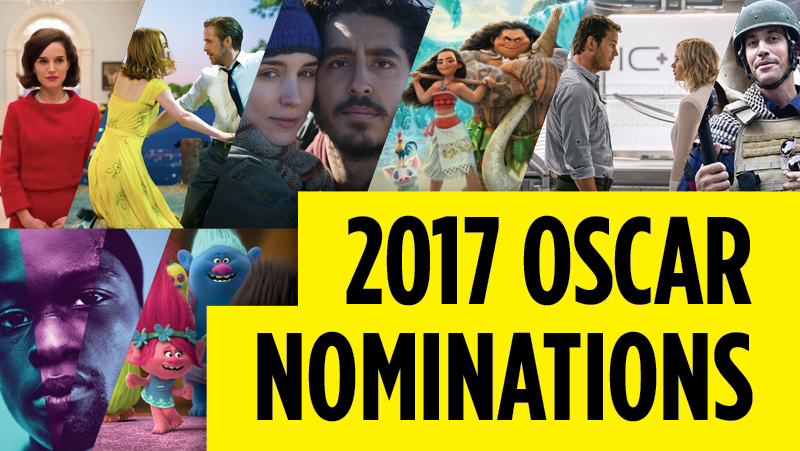 The 2017 Academy Award nominations are out! Fresh from the excitement of this month’s Golden Globes ceremony, film critics and movie lovers watched the 89th Academy Award nominations announcement this morning with plenty of predictions. As some had anticipated, musical frontrunner La La Land made Oscar history with its record 14 nominations—tied with Titanic (1995) and All About Eve (1950). Today we had our eyes (and ears) peeled to the Oscars’ musical categories, Best Original Song and Best Original Score. Listen to this year’s nominees below! Which of these esteemed nominees will win an Oscar? Let us know your predictions in the comments and tune into the ceremony on Sunday, February 26! This entry was posted in Beyond Levitt and tagged Academy Awards, Oscars on January 24, 2017 by Lucy Truong.